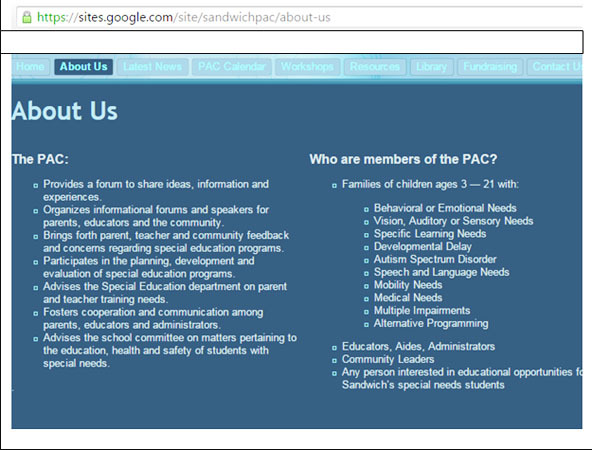 Posted on May 17, 2015 by Sandwich Learns Together/ SPS in Did you know? It’s that time of year again when the SEPAC seeks nominations for its annual Making a Difference Award. As we all know, working with students with special needs is hard but rewarding work and the SEPAC would like to recognize those individuals who go above and beyond to make a difference. Please submit your nomination by June 5th by clicking on this link: https://www.surveymonkey.com/r/589MH5Y.